Gentle Movements as you allow your heart rate to calm down. 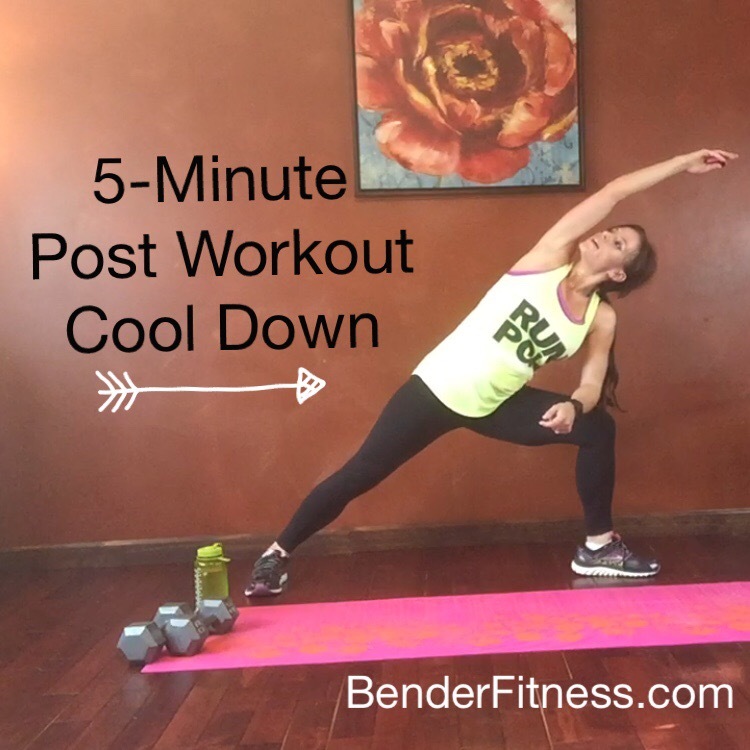 This is a very quick cool down: 5-minutes, plus a bonus stretch at the end. It’s simple, but quick and effective. Cooling down and stretching after your workout will help your recovery time, and assist with preventing injury. A lot of people skip the cool down, but it really helps you continue to progress your level of fitness, while keeping your body safe and performing to it’s maximum capacity. If you get injured you will miss a lot of training time. Plus, injuries just hurt! I hope you like today’s cool down. Let me know what you think in the comments below. Set Your Interval Timer for 5 Rounds of 10/50 for the Cool Down.